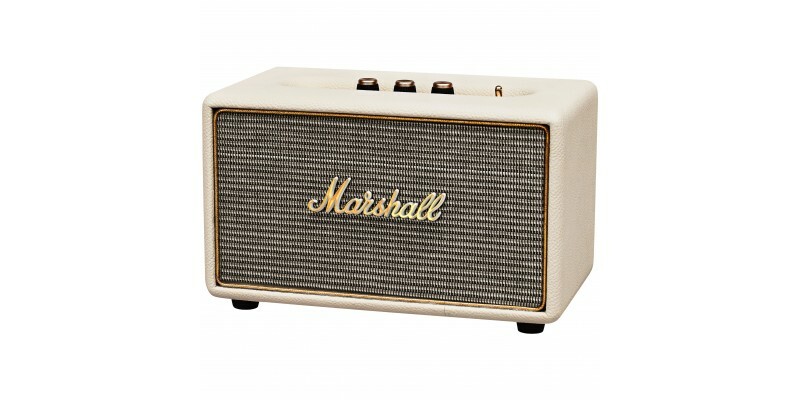 The Marshall Acton is the perfect home bluetooth speaker for every guitarist. 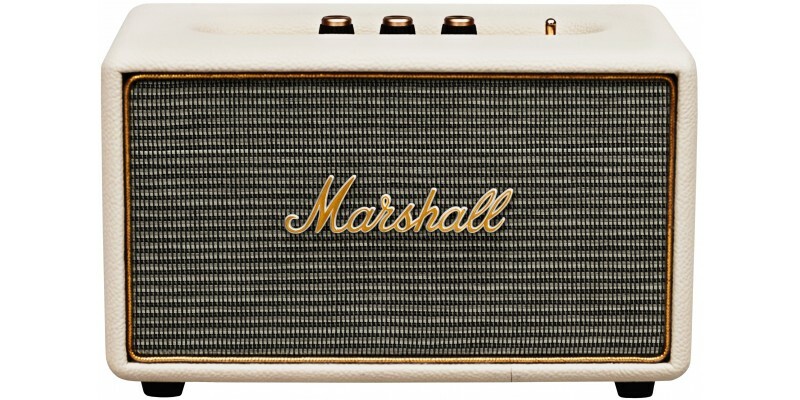 The classic Marshall nameplate adorns a beautifully designed cream speaker cabinet with sound quality to match. Three amplifiers - one for the woofer and two for the tweeters - work in unison to produce loud and detailed sound, which can be tailored to your tastes using the analogue bass and treble knobs. It's highly intuitive; anyone who's used a guitar amp will feel right at home. What's more, the latest v4.0 bluetooth connectivity ensures that connecting your phone is completely seamless. If you'd prefer a wired connection, the Marshall Acton has you covered too, coming with a Double-ended coil cord with 3.5 mm stereo plugs. 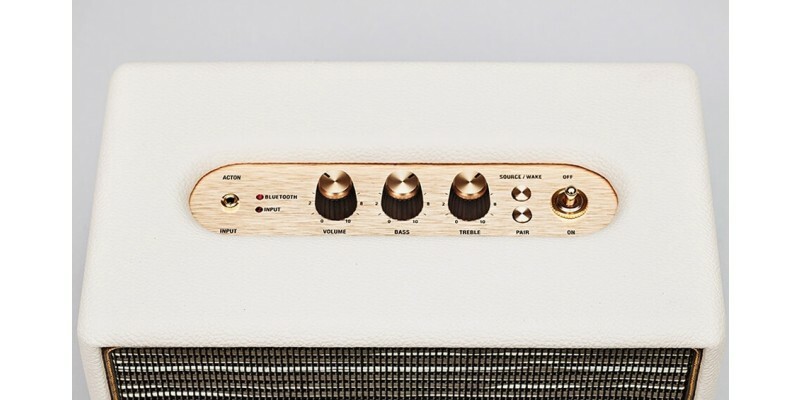 Now available from Merchant City Music, online and in our Glasgow store, the Marshall Acton in Cream is the perfect gift for a guitarist, but why should they have all the fun! Such is the legendary nature of the Marshall brand - and the classic design of the speaker - that it will fit well in any home. 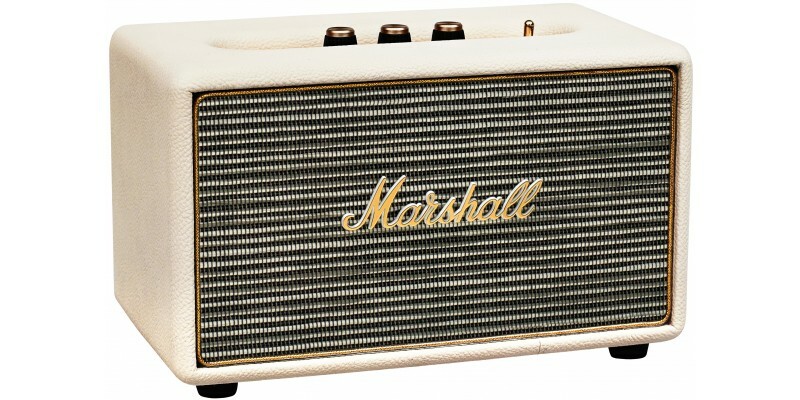 THE MOST COMPACT HOME SPEAKER FROM MARSHALL: Acton is the most compact home speaker from Marshall. It’s the perfect size to bring music to your home’s smallest spaces. POWERFUL SOUND: Acton features well-balanced audio that boasts powerful sound throughout the sound frequency. The clear midrange, extended highs and deep bass seem to defy the laws of nature for a speaker this small. CUSTOMISE YOUR SOUND: Acton’s top brass plate features controls for bass, treble and volume. The custom control analogue interaction knobs allow you to fine-tune to the exact sound you desire. CLASSIC MARSHALL DESIGN: With its iconic gold script logo, gold piping, vinyl casing and vintage-inspired fret, the Acton is an instant rock ‘n’ roll classic. Its devilish good looks draw inspiration from over 50 years of Marshall design. BLUETOOTH CONNECTIVITY: Use your Bluetooth®-enabled smartphone, tablet or computer to stream music directly to your Acton with no wires attached. 3.5MM INPUT & DOUBLE ENDED CABLE: Inspired by the golden days of rock’n’roll, this coiled double-ended stereo cable with two 3.5mm plugs is a modern take on the classic telephone guitar cord cable. Kink-free and extendable, it’s your music device’s connection to a world of great sound.